VALERO REFINERY in the Manchester neighborhood of the City of Houston. 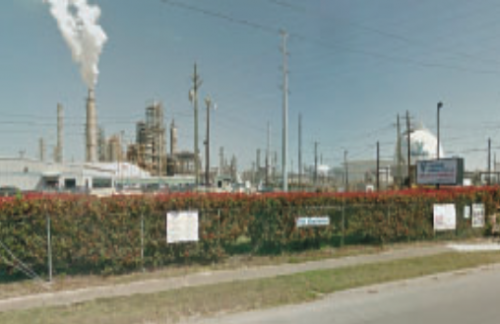 HOUSTON – Houston City Council in December approved a deal with Valero Refinery to designate their property as outside the city limits, for tax purposes. Valero had asked several times for the abatement, saying that if it did not get the relief, it would probably build the expansion elsewhere, in Louisiana. As planned, Valero said they will expand and spend up to $800 million on the Manchester location, and bring 25 new permanent jobs to the area. The approval by city council was on a 11-6 vote, with Robert Gallegos, who represents the Manchester neighborhood, voting against the measure. Also voting against were Dwight Boykins, Richard Nguyen, Ed Gonzalez, Mike Laster, and Larry Green. Mayor Parker said that the company had met with Gallegos several times in 2014, and he had an opportunity to call for public meetings and did not. Therefore, when the Texas Organizing Project asked for a delay in the vote, she indicated it was too late. Gallegos said that the city, led by Andy Icken the development director, had been negotiating with Valero for a year and a half, even before he was on council. He said that Valero claimed to have the neighborhood’s approval for the expansion. However, officials with Valero apparently communicated on their expansion plans, but not on the terms for a tax break with the city, which is an important part of this negotiation and action by city council. Under the agreement with the city, about 160 acres of the total 190 acres that Valero owns will be designated as an industrial district, outside the city limits. The remaining 29 acres must remain in the city due to a quirk in the law about how far the property is from the Houston Ship Channel. This tax abatement is set to last for 15 years, according to the city. This arrangement will result in a $5.5 million reduction in taxes on the current facilities at the Manchester site, allowing it to use the money for the expansion. Icken said that the city will actually make money on the deal, after fees are paid generated by the new facilities. Without the industrial district designation, Valero would have paid $55 million in taxes on existing and new facilities, but now this will be only $38 million for the 15 year period, amounting to a savings of $17 million for the company. Valero pointed out in its request that its neighbor refineries are already in industrial districts, with lower taxes. Houston has 104 of these districts, with fees paid in lieu of property taxes. The deal will expire in the year 2027 unless it is renegotiated. It also has milestones that must be met. Construction must start by 2017, and completed by 2020, or the property would be re-annexed into the city and the tax break annulled. Valero also got a tax break on this project from the State of Texas. In exchange for committing to this expansion, the state gave Valero a $1.6 million rebate of state sales and use taxes, related to the project. Valero has been active statewide in seeking tax breaks for its facilities. In several cases it has sued school districts, to have its property assessed value reduced. In these cases, the school districts were forced to return taxes already collected and budgeted, thus putting their own budgets under duress. EAST HOUSTON REGIONAL: Medical Center welcomes its First Baby of The New Year! Baby Mikeila Paola makes her debut on New Year’s Day at East Houston Regional Medical Center with her mother, Viviana Martinez, and father, Hector Chavez. 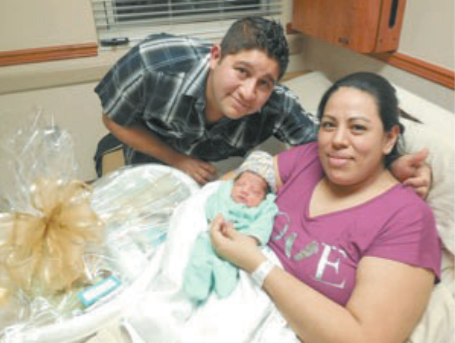 Houston, Texas, January 1, 2015 — East Houston Regional Medical Center and Dr. Beryl Randolph helped Houstonians Viviana Martinez and Hector Chavez welcome their baby girl, Mikeila Paola, into the world at 10:12 am on January 1, 2015. Baby Mikeila is 5 lbs. and 10 oz. and is 17 inches long. She was one of five babies born on New Year’s Day at East Houston Regional Medical Center. — Inaugural Issue of the North Channel STAR is published. Community leaders and businesses advertise their well-wishes to the publishers, Gil and Mei Hoffman. — North Shore Mustangs are 5A State Basketball champs!